Sorbus intermedia also known as the Swedish Whitebeam, is a triple hybrid between S. aucuparia, S. torminalis, and S. aria taking many of the best features from each. Attractive flowers and fruit combined with a well-formed symmetrical canopy and a no nonsense reliability make it a perfect choice for urban or rural situations. The Swedish Whitebeam has dark green foliage on the top and silver- grey on the underside, giving it an interesting shimmer in the breeze. The creamy white flowers appear in clusters during the end of spring - beginning of summer and are followed by small orange-red fruit (berries) in the autumn. The autumn colour is also decorative and contrasts attractively with the berries turning golden brown. Despite its many aesthetic attributes S. intermedia is as tough as old boots and will tolerate the harshest conditions; including wind exposure, coastal environments and calcareous soils. 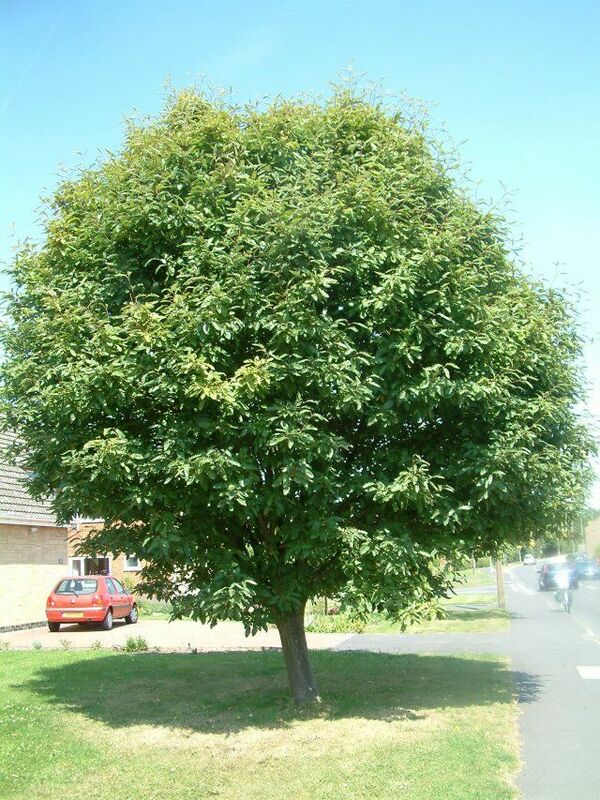 In general it will tolerate most soil and environmental conditions, thus is a very versatile tree and one of my first choices when faced with challenging elements. Fully hardy.